- The game is completely updated to work on modern computers. - Supports modern screen resolutions. - All patches are enabled. - Network modes are reworked. 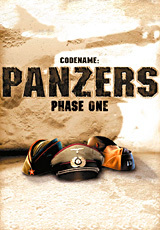 Game Codename: Panzers, Phase One - a completely three-dimensional tactical strategy in real time, dedicated to the Second World. You will be awesome in detailing and working out the battle: from small skirmishes on narrow urban streets or in the mountains, to serious tank battles in the plains and marshes. The game covers almost the entire course of the war, except for the battles in Africa. The campaign for Germany begins with the invasion of Poland, and the last mission for the USSR will be the battle for Berlin. Codename: Panzers presents all aspects of military tactics of those years. Even a couple of infantry can neutralize a dozen tanks if they have grenade launchers, and the player has the proper skill.